Strawberry Laser Lipo is a revolutionary pain free inch loss treatment that will change the way you think about plastic surgery. No pain, no down time and a healthier way of life. Consultation and target area measurement. Diode laser paddles are attached to a strap and placed on the fatty areas. You will then need to do a minimum of 30 minutes of cardio exercise to boost your lymphatic system and burn off some of the excess energy that has been released from the fat cells. The cold laser penetrates through the skin and targets the fat cells. The laser creates pores on the fat cells and allows the contents to spill out naturally into the body. The contents (fat, water, glycerol & fatty acids) are then bypassed through the lymphatic system, veinal system, kidneys & liver. So…some of contents are excreted naturally by this process. The rest will be turned into fuel for the body and needs to be burnt off as energy. This is why it is so important to do cardiovascular exercise within 12 hours of each treatment. It is totally pain free. There is no down time at all. Darker skin types may feel a warm, relaxing sensation. You will need 8 treatments to complete the course. 2 treatments a week for 4 weeks is recommended. This depends on which area is being treated. We will measure you before and after each treatment so allow on average an hour. What will I have to do after each treatment? Will I see a difference from the first treatment? Yes. We will measure you before and after each treatment so you will clearly see your results. Results tend to speed up towards the end of the course which is why we recommend 8 treatments. No, it is completely safe and there are no side effects. Everyone is different and it can depend on which area is being treated. If you stick to the recommended eating plan and do the exercise after you treatment you will see good results. We find that a very realistic amount from the tummy area is 6 – 9 inches over 3 measurements. We can’t guarantee exact results for anyone, and it will depend on how much you put in. Many people have lost a lot more but it’s better to be realistic. What will actually happen in the treatment? You will receive a full consultation. We will measure the area we are treating. You will lie on the couch and have small probe lasers put on your lymphnodes in either your groin area (just at the top of your thighs in your knicker line) or under armpits, at the back of the knees or above your collar bone, depending on which area we are treating. Paddles will then be placed and secured on the fatty area we are treating. During this time we will discuss what exercise you have done since your last treatment and the foods you have eaten. You will then be measured to note how much you have lost. Surely if I go on a diet I will lose weight anyway? Laser Lipo allows you to target specific areas that you are not happy with (something that cannot be done by diet or exercise alone). You will be measured before and after each treatment so you can see exactly how the laser is working for you. We need your lymphatic system to be working at its peak while you are having treatments which is why a clean diet is necessary. Any fatty areas can be treated. Tummy, back, face, thighs, calves, bottom area. The only places that cannot be treated are breasts (women only, men are fine), spine and near the eye area. Can men have this treatment? Urine infection, Cancer, kidney problems, auto immune disease, are currently pregnant, any form of fever, infection or disease, gastric ulcers, cardio vascular conditions, epilepsy. Clients suffering from thyroid conditions and polysistic ovaries can be treated but the results will be slower. 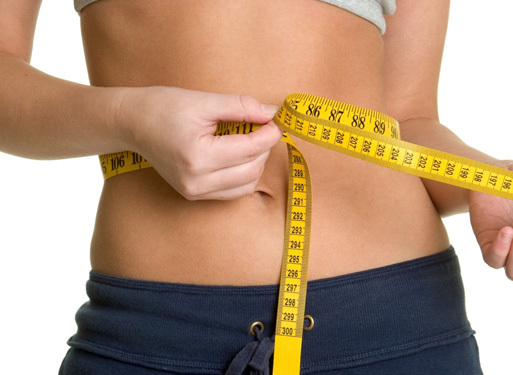 Here you’ll find what others have to say about our Laser Lipo services. I have finished my Laser Lipo treatment today and I am very impressed with theresults. It's been easy and painless and I have lost inches in just the right places. It's been a huge boost for me. I would highly recommend to anyone. My laser lipo sessions were great, alongside a slight tweak to my diet and excerise routine I have achieved brilliant results. It is a great way of getting rid of fat in stubborn areas. My cellulite has decreased too. I would definately recommend! This treatment has changed my life. I have always eaten healthily and excerised regularly yet I have never been happy with my thigh area. It doesn't seem to matter how much I focused on these areas at the gym, very little ever changed. Having Laser Lipo has given me a whole new confidence. I am so pleased with the results. I have since recommended my sister and mum who have also been delighted with how successful the treatment has been. There is now a very real alternative to surgery with the introduction of Laser Lipo. Fast, safe, pain free and with immediate results you can now gain access to this revolutionary treatment at Bodilight.